How were individuals with mental illness treated in nineteenth century psychiatric hospitals? Were they nurtured to wellness in therapeutic communities? What was society’s attitude towards these people? The answer to these and other related questions was recently explored at a historical exhibit named, Deprived of the Use of their Reason: Quakerism and the Curability of Mental Illness at the Friends’ Asylum. 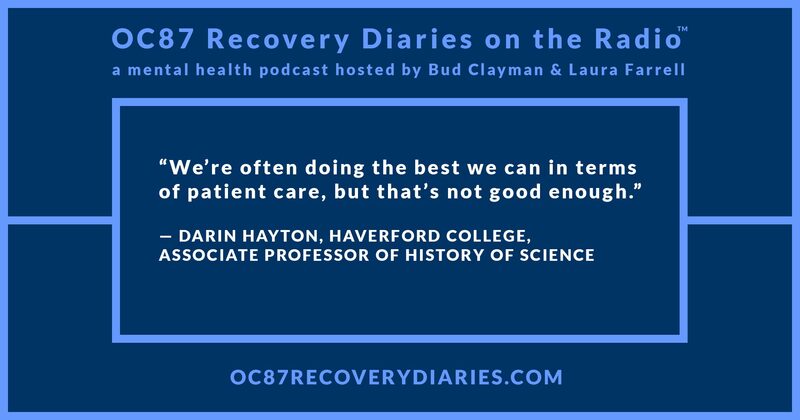 On episode fifteen of OC87 Recovery Diaries on the Radio, we talk with Madison Arnold-Scerbo and Haverford Associate Professor of History of Science, Darin Hayton. Hayton teaches a class at Haverford on mental health and madness that was influential in the curation of the Friends’ Asylum exhibit. 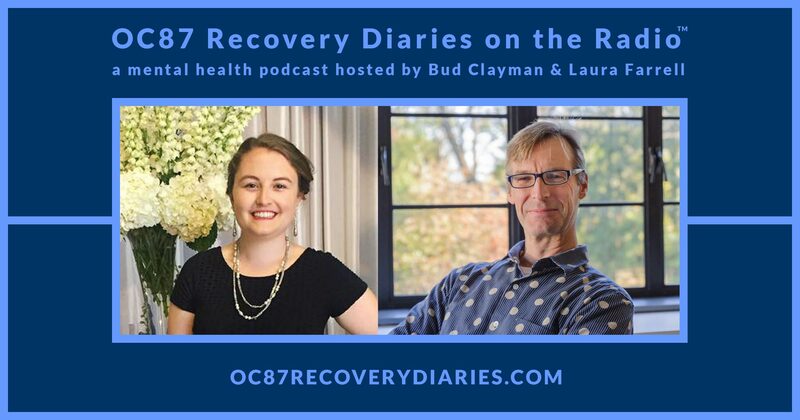 What I learned from this interview is that, while we have come a long way in our treatment of the people with mental illness, we still have a long way to go. The exhibit spotlights a patient who was admitted to the Friends’ Asylum and who passed away just ten days later. Unbelievably, this could, and does, happen within our current treatment system. And that is alarming. 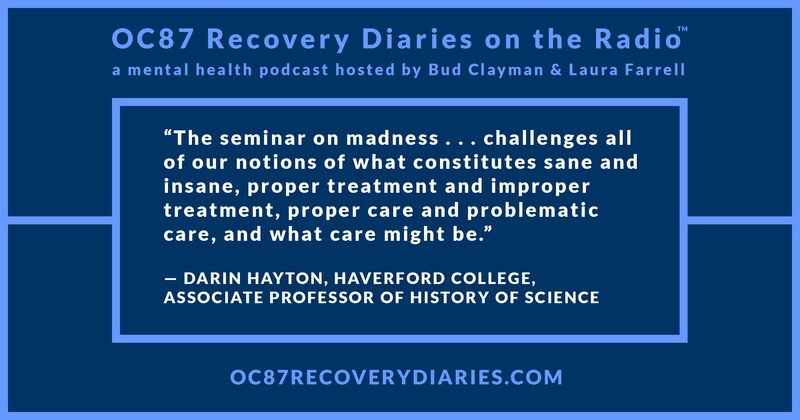 Arnold-Scerbo and Hayton emphasize that they are historians and not mental health professionals. Their goal was not to pass judgement on the treatment and care at the Friends’ Asylum, or any other hospital from that period, but rather to present the facts as they existed. 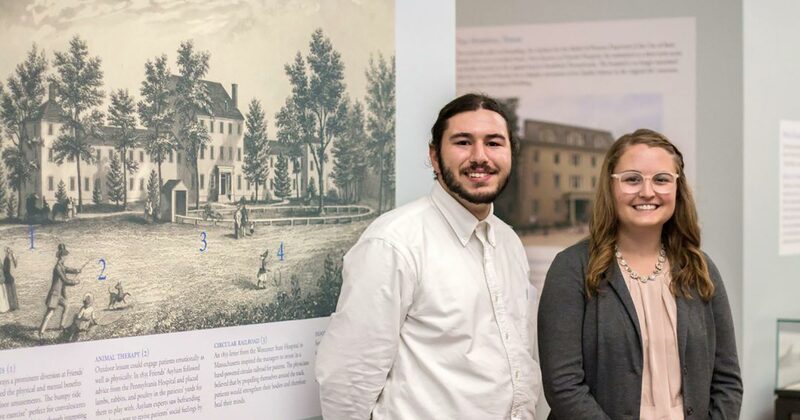 They wanted to let the exhibit’s visitors decide for themselves what did or did not constitute good treatment of patients with mental illness, and to reflect on similar questions about mental health treatment today. Listen, now, as we go back in time to when the treatment of people with mental illness was evolving, and hear how this historical exhibit has been able to teach us more that we previously knew.